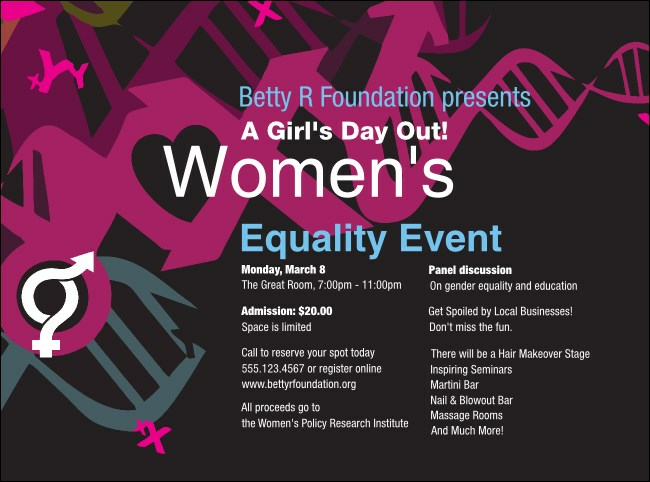 Release the inner beauty of your pre-event advertising when you print gorgeous Equality Flyers and promote your next women’s rights event in advance. Become the mother of high ticket sales with Flyers that feature a bold pink and black background design and twenty-three lines of custom text. Diversify your advertising at TicketPrinting.com.